If you do not already have an account with us, enter your email address and click on Create an account. Your friend will receive an email recommending this product. It is the smallest of the Raf, and usually comes from the canopies of the plant. Known as the "miniRaf", it keeps intact all the qualities of a Raf, but with a reduced size. There are only 50 Item! Items! We notify you when it will be available? The PepeRaf Raf tomato is cultivated following traditional cultivation techniques so its concentration of sugars is perfect, providing a great experience of flavors that you can combine to your taste. 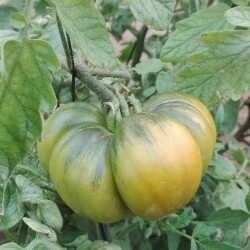 It is a grooved tomato (wrinkled) and very fleshy with an intense green color with blackish strokes. 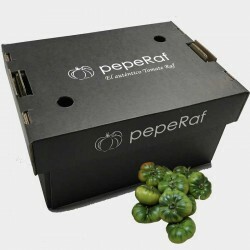 And above all, do not be fooled, the real Raf tomato is not smooth or light green ... it's how we serve it in pepeRaf. It is the smallest of the Raf. 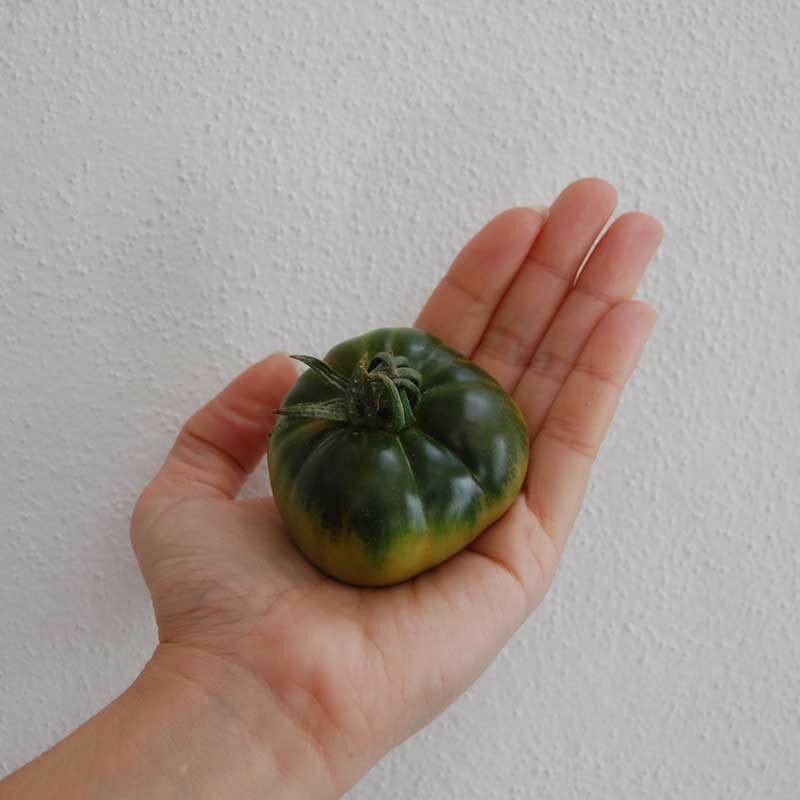 Known as the miniRaf has a more competitive price, but without losing any of the properties of flavor, texture and forms of the true Raf tomato. This Raf is also known as "MM", and has an approximate size of less than 50 mm in its equatorial section. A real treat for everyone. We pack it in corrugated cardboard boxes that maintain the maturation of the tomato constant and supports better than any other material the blows during transport. In addition, corrugated cardboard is a recyclable material that allows reuse or recycling. They should be kept in a cool place, as the sun or the high temperatures accelerate the ripening process. However we advise you not to put them in the fridge, as they will lose some flavor. Ideally, keep them in a fresh pantry as much as you can and when there is no remedy then go to the refrigerator. If they are too mature do not despair, you can not imagine the experience that can mean a "sofrito", gazpacho or whatever you can think of, with a good tomato Raf. Subscribe and get a discount on your next purchase. We use our own and third-party cookies to offer you a better experience and service, according to your browsing habits. © 2012-2016 pepeRaf, All rights reserved.